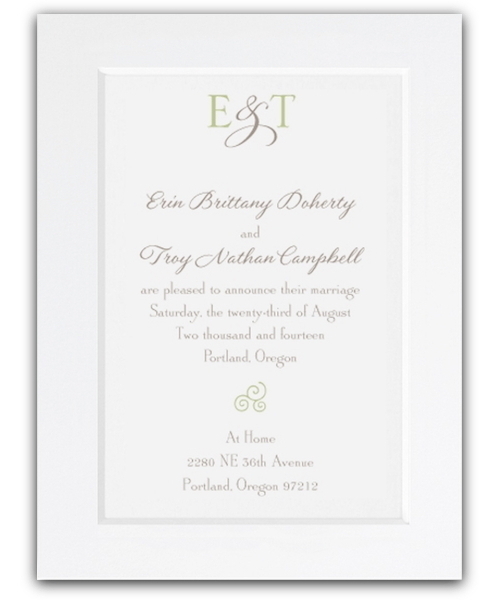 Shown in two ink colours of celery and taupe, thermography raised print. 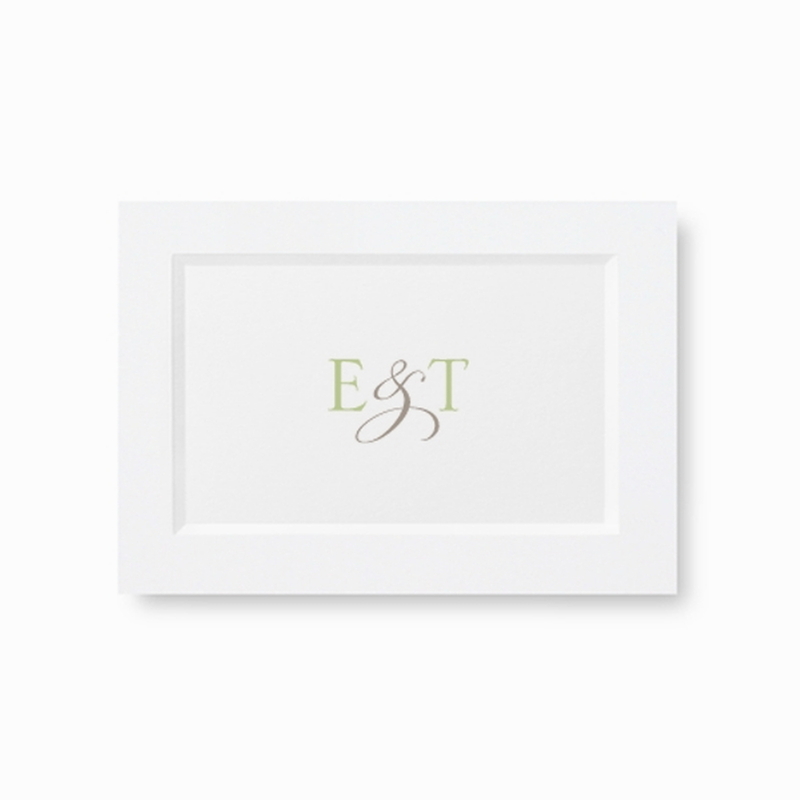 This large format card is fresh and modern yet elegant. Dimensions are 6 1/8 inches wide x 8 7/8 inches tall. 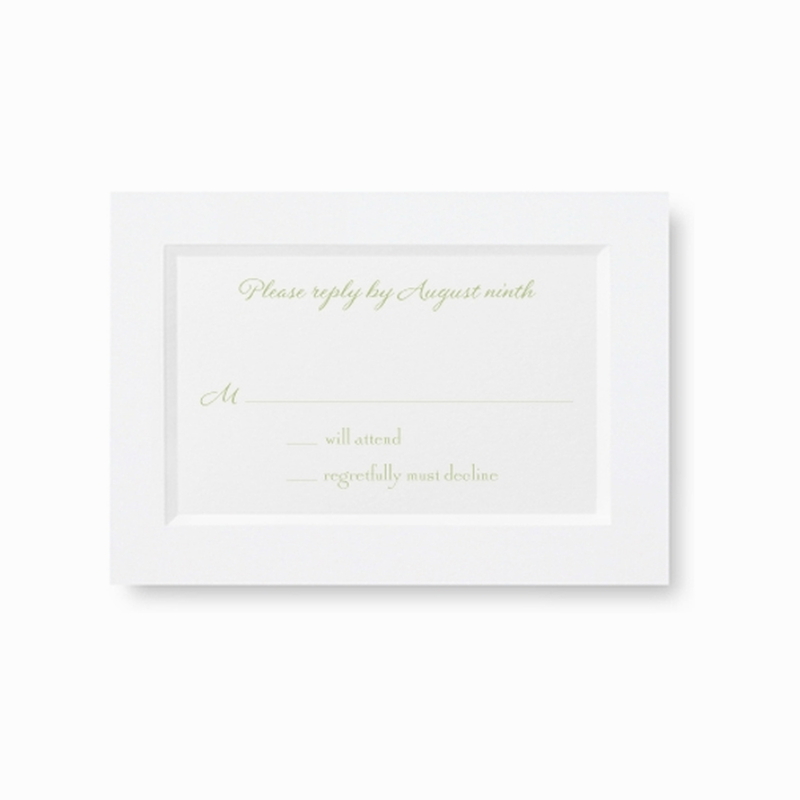 I find the celery and taupe crisp and fresh against the large white background. 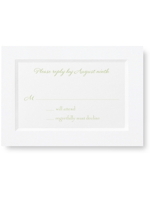 If you choose to stick with the swirly-wave motif as shown on the image, there is a magnificent, almost lace like, celery lining available for the envelope. The size of this card carries a bow wrap extremely well as can be viewed in the studio album. 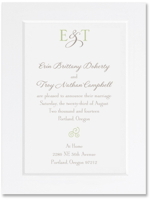 Also available in Ecru, and in a smaller size invitation, which is available in either white or ecru. 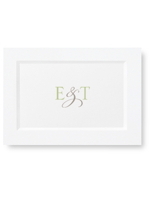 You could also re-style this card with your own choice of ink colours, font, and design motif's. 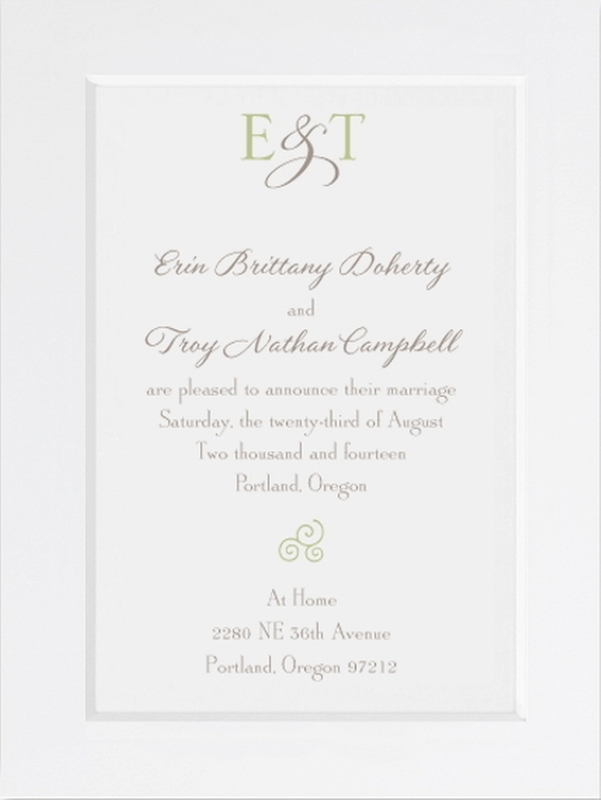 The image shown, uses a design element swirly-wave, which is of course optional.